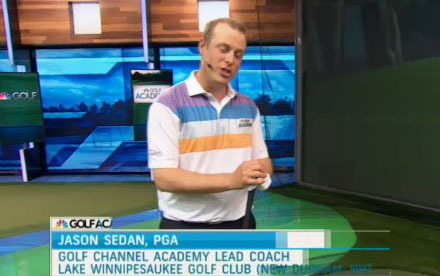 Jason is the Founder and Coaching Director for Fore Door Golf, a Golf Channel Academy location, based at the Lake Winnipesaukee Golf Club adjacent to America's Oldest Resort Town. The summer months offer a schedule of game improvement events to reach all ages and abilities. Jason strives to take is personal coaching experiences to the game field. Lake Winnipesaukee Golf Club's solitude offers not only world class conditions to improve your game but almost limitless opportunity to get on the course and work on your game where it matters most! 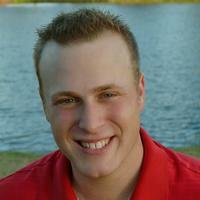 During the winter months, Jason serves as Director of Instruction at the Orchid Island Golf and Beach Club in Vero Beach, FL. 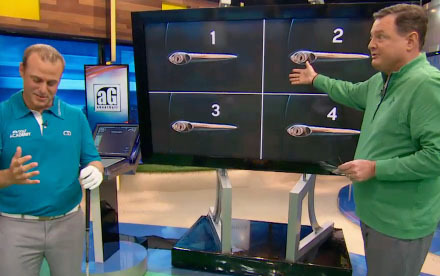 Jason's approach to coaching golf stems from a 4 step approach he calls the "Doors to Success". 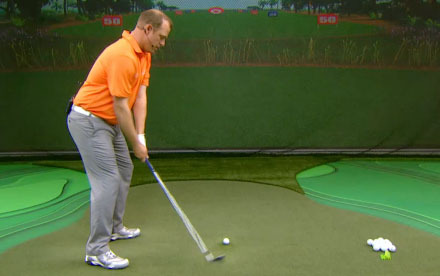 While many successful instructors have developed a methodology for the golf swing, not all students may be able to move in a way that suits the instructor's method and therefore the student is left with a severe misunderstanding of what will allow them to play their best golf. Jason is committed to a 4 spoke system of Assessment, Comprehension, Training, and Application. By teaching in fours, Jason is able to keep his instruction clear and memorable, allowing for the student to see instant as well as long lasting improvement. This personalized and thorough approach is unlike anything offered in today's market of coaching services and is guaranteed to help you achieve successes you never thought possible. Fore Door Golf begins with prioritizing the learning process. At a fundamental level, all golfers must learn what is required to gain 1) Contact 2) Direction 3) Distance & 4) Control of a golf shot. Along the way, there is room for many principles and preferences of how to achieve these parameters. 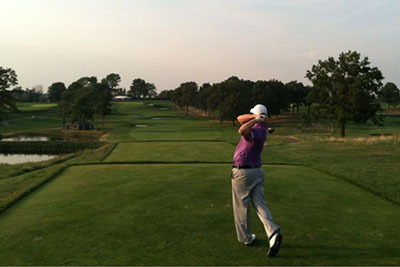 Fore Door Golf encompasses an infinite amount of patterns to accomplish the goal of enjoying the game. 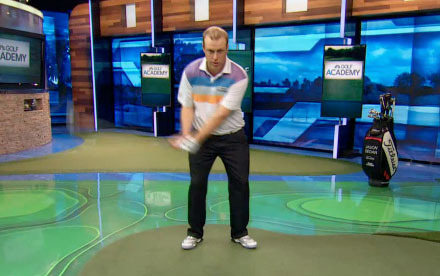 To gain a better understanding of Fore Door Golf and how it can help your game, please click here. With so many tools to do the job and so many ways to use them, certainly this is an important place to start. 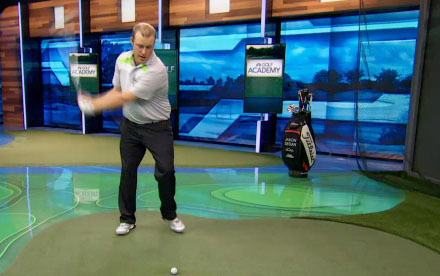 In Door #1, you will learn does and does not make the club work. 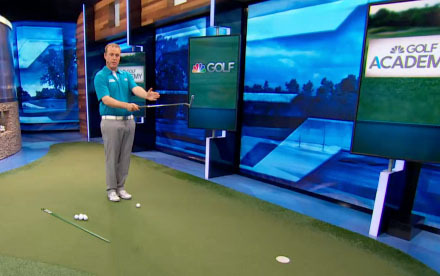 You will learn how to alter any club to best accommodate scenarios on the golf course and begin to understand the art of club selection to give yourself the greatest margin for error. Through a 4 step prioritization of Contact, Direction, Speed, and Control, you can focus your Training on the areas that will build a framework for future refinements. 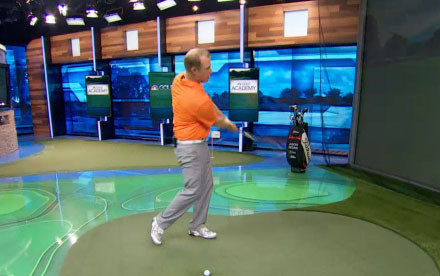 A golf swing is only as good as the body that is using it. To gain an understanding of how one's biomechanical features, strengths, limitations, and past injuries play into their movement patterns means we can design a swing for long term, pain-free golf. Even golfers at the highest level experience sidelining injuries and big misses under pressure. 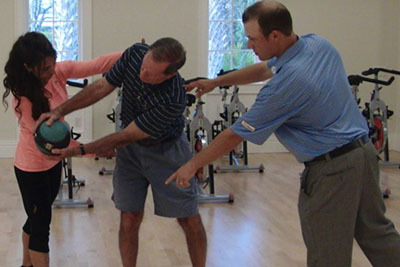 Only by properly assessing what a golfer brings to the table with his or her body, is it possible to deliver a training program capable of optimizing stability, mobility, speed, and coordination for every golfer. When most golfers seek a "fix" for their game, they are often in search of what piece of their natural, most familiar action is feeling out of place. Because they don't have any awareness for Doors #1 & #2, most immediately seek the advice of a golfer, perhaps a pro but often not, that they feel can adequately diagnose what has gone wrong. This is unfortunately why so many golf lessons "wear out", or never work at all, leaving the golfer feeling like a lost cause. This could not be further from the case. 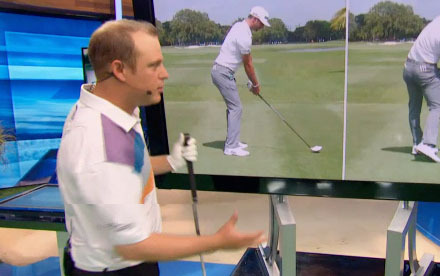 Every golfer has the ability to understand how THEIR swing works. It is the job of the coach to provide the necessary elements to get them there. Through the years, we've seen swings of all shapes and sizes win at every level of the game. It is imperative to know that one size does not fit all even if the latest sensation of tour has a "cool" looking swing. When you can understand what is important to YOUR swing, you can get on to the most important part; PLAYING the game! So often do amateur golfers get caught up in playing "golf swing" do they forget there is a far greater objective; put the ball in the hole! Being able to analyze the conditions and circumstances around you to complete this objective in a timely manner is the essence of the game. Not every shot needs to be "the shot" while at times we find ourselves in need of "a shot" that perhaps we are skeptical of executing. Understanding when to position oneself for another shot and when to use all the input from Doors #1, 2 &, 3 to create a masterpiece of a golf shot, is what allows a golfer to score. No previous shot can be made up for with some sort of extraordinary feat on the next as each shot must be evaluated independently. If an aggressive shot is then called for, we must eliminate the frustrations of past experience and allow one's training to provide the confidence necessary to pull it off. Naturally, this is where even elite players hit a "wall". With a proper training program, taking all 4 Doors to Success in account, a player's potential is only limited to the body they are born with and the time they put in. Jason has been named a Lead Coach for Golf Channel Academy. 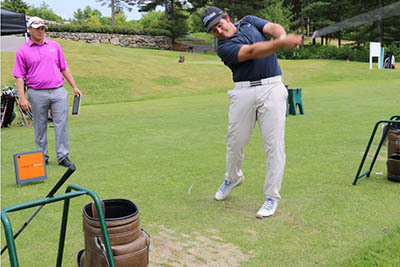 Debuting Spring of 2015 at the Lake Winnipesaukee Golf Club, his Fore Door Golf Academy will be improving the games of golfers from all of New England! 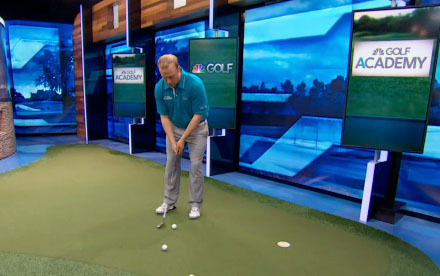 Golf Channel Academy is an exclusive network of top-tier coaches who have dedicated their professional lives to helping golfers of every level play the game better. 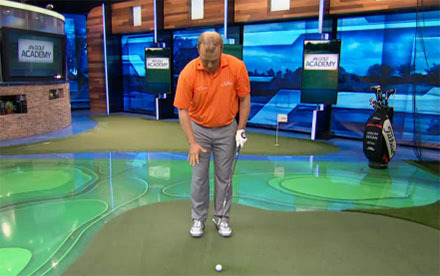 With the active support of Golf Channel, the game's leading global multimedia and golf entertainment source, coaches selected to participate in Golf Channel Academy will contribute to a network that promotes the sharing of best practices, as well as one that will deliver promotion and business-related services beyond what any stand-alone academy could provide on its own. Member academies will receive a variety of marketing and business solutions that will enable our select coaches to focus on their passion for delivering the highest quality instruction available anywhere, creating a player-coach culture that is focused on sustained improvement and enjoyment. 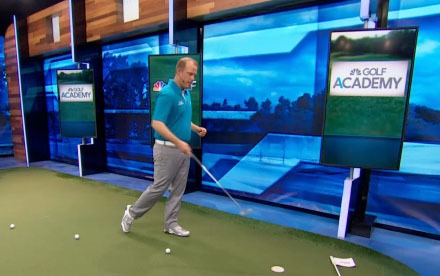 Golf Channel Academy is committed to growing the game and believes that the best way to accomplish that is to help golfers play better, and stay better. Years of research by Golf Channel Academy's executive team went into the selection of the inaugural group of lead coaches for the network. 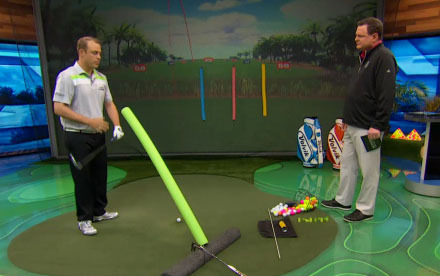 The consistent high-quality results attained by these coaches with their students was the primary consideration to be invited to join Golf Channel Academy. Each coach not only had to demonstrate a recognized ability to create significant and sustained improvement in their students, but they also had to show a clear passion for their craft.